Christine, Navy Dan, Daniel and Rachel met me at the airport with bells on. Literally. And Bacardi, since I’m a drinker now. Since then, I’ve picked up both of my parents from the airport. Our family is slowly piecing itself back together again. We await my sister, Sarah, who will return from India on the 28th, which has become our family’s Christmas Day this year. I’ve been spending most of my time with friends and family, going to concerts and services and hotels and movie theatres and shopping malls, and preparing for the Christmas Eve services. It surprised me how quickly I slipped back into the familiarity of this setting. I wish I could keep appreciating this place and these people every moment of the day, remembering how much I missed all of them. I need to work at that. It just feels too much like normal. It’s the most natural thing in the world to wake up and come downstairs and eat breakfast with my family, to go hang out with Chris for the day. Maybe that’s a good thing. But just a few weeks ago, I was desperate for it, I would have given anything for it. So I don’t want to take any of it for granted. Especially because there is a mouse back in Vancouver waiting for me, who has somehow chewed up a sticky trap. Can you believe it? What a genius, that Melba. 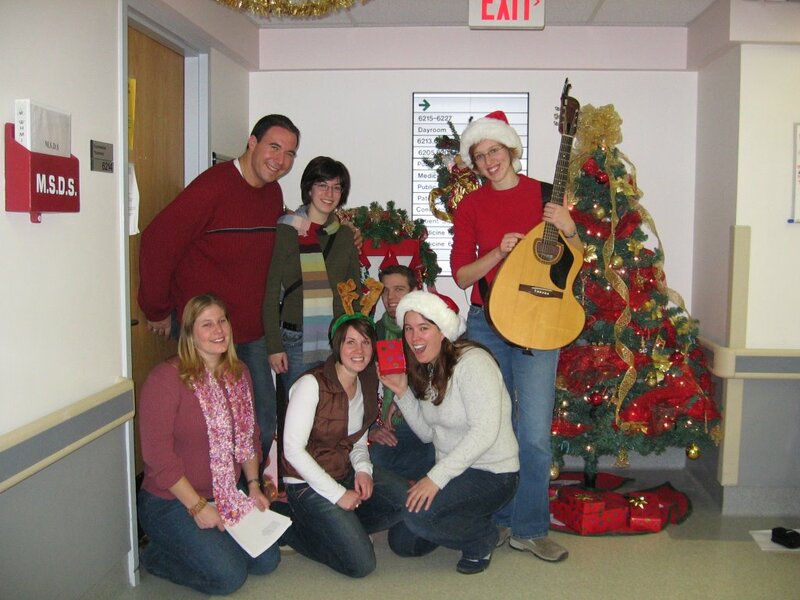 Tonight some friends of mine planned a second annual caroling at the hospital trip. It was tons of fun, we sounded superb, and we made a lot of people cry. I hope the crying was a good, nostalgic, appreciative crying and not a “you sound so bad I can’t stand it” crying. But I think it was the first type. Because we even had parts and different times of entry in “O Holy Night”, thanks to Cam’s coordination and clever cueing. Speaking of crying, perhaps I should tell you a rather embarrassing story from the plane ride here. I had this excellent idea to do nothing on the plane ride, as a sort of object lesson in waiting, in the spirit of Advent. Well we were stuck on the runway for quite a while, and the whole “waiting” thing was getting really old. So I pulled out “Pilgrim at Tinker Creek” and started reading. I have been reading this book ever so slowly, and I’m not sure why, because it’s seriously my favorite book ever written. Ever read by me. Annie Dillard says everything profound I’ve ever thought about while studying science or enjoying the outdoors, and she’s more eloquent than my thoughts are. And she uses better examples than my thoughts do. She’s like a 100x better version of bioBeth. Anyway, the big heavy metal plane finally lifted into the air, an experience that blows away my logic every time. I was reading a chapter on “Intricacy,” in which she talks about how the average caterpillar has 228 separate muscles in its head. She talks about the 2 million glomeruli we have in our kidneys: “I made them all myself, without the least effort. They’re undoubtedly my finest work.” Mostly what hit me was wh en she talked about the jaggedness of our planet, how a globe with bumps on it to show the mountains can’t begin to show the number of trees on each of those mountains, or the thousands of needles on those trees and the millions of little furrows on the bark of one tree. 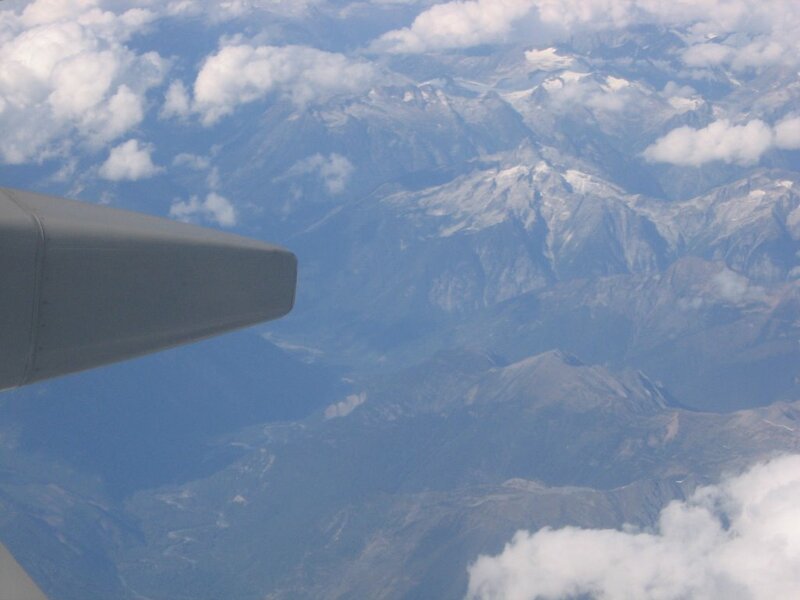 I looked out the plane window at the mountains all submerged in clouds, with clouds lapping up on them like the water around my Rock in Vancouver, and I tried to let all of that intricacy and complexity sink in. “Our life is a faint tracing on the surface of mystery… What is man, that thou art mindful of him? This is where the great modern religions are so unthinkably radical: the love of God!” This washed over me so overwhelmingly that it made me cry, right there in the airplane. People were staring. I couldn’t stop. I felt desperate to worship this maddeningly incredible God. 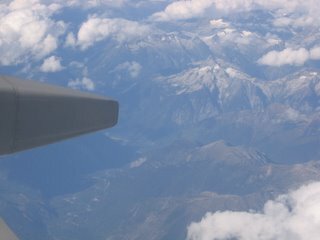 Blame it on hormones, or on the emotional highs and lows of returning home, but I think that plane was some sort of a sanctuary right then – I really felt like I was meeting with a real and frighteningly transcendent, yet ultimately loving God, more powerfully than I usually do in a given worship service. Perhaps I was closer to God at that high altitude. I don’t know. What’s more, it has happened more than once; just when everything in me wants to worship, I find myself in a weird public setting. It happened when I went to see Narnia the other night. During the Stone Table part, it overwhelmed me again. It would have been enough for God to create all of that pine needle intricacy for me to discover and enjoy. But He went so much further, sacrificing Himself painfully for me, Beth, one among so many, one bundle of cells among all this detail. Christmas seems like a weird time to be thinking about Easter, but maybe it’s not. Loren Wilkenson, one of my profs, shared this paradox-rich quote with our class on our last day of school; it’s from one of Augustine’s Christmas sermons. Well, I’ll leave you with that for now. Perhaps I will post a Christmas post in the next couple days, with special returning guest Christine Kulyk, and a lot more pictures. (that’s Christmas post as in blog post, not as in the Christmas post which stands in my Vancouver house). Be sure to tune in.